We have three fun clubs that meet monthly to inspire you to create with your BERNINA and your BERNINA Embroidery Software! 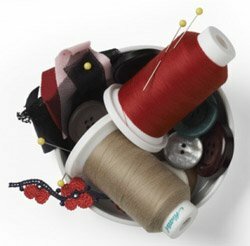 Join us for Bobbinwinders, Embroidery Club and Software Club for new projects, ideas and instruction. Each month we'll share new ideas, tools, techniques and more related to sewing, embroidery and quilting. No pre-registration is required and you can join us anytime. Members will receive a 15% discount on regularly priced merchandise* on both club days, at either store location. If you purchase a machine from The Presser Foot, you will receive a Lifetime Bobbinwinders Membership. Club details are sent monthly via email. To receive these emails, sign up here and choose "Bobbinwinders" as one of your interest categories. Cost is $5 per month (guest fee) or $24 annual membership. Embroidery club will help you get comfortable using your embroidery machine and teach you to use new techniques and products as you stitch out a different project each month. This club is open to owners of any brand of embroidery machine—you must be comfortable operating your embroidery machine and tell us what format of design it takes when you register so that we can prepare a download for you. Project details are sent monthly via email. To receive these emails, sign up here and choose "Embroidery" as one of your interest categories. Bring your embroidery machine, hoops and laptop if required. Advance registration is required so that we can prepare a kit for you. 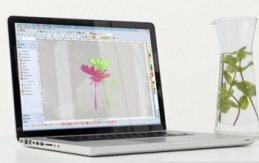 Explore your BERNINA Embroidery Software 7 with Software Club! 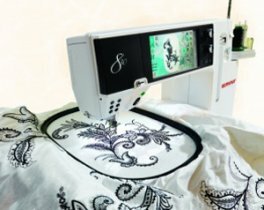 We've joined with national BERNINA Educators through the Software Sampler Program, who create a new lesson each month to cover tools and aspects of the embroidery software that we don't always get to in the Owner's Classes. Software Club is taught using BERNINA Designer Plus Embroidery Software 7. When possible, a work around will be provided for other versions / levels of the BERNINA Embroidery Software. You should be comfortable with basic software functions such as selecting objects, resizing, rotating and changing colors (things taught in Software Editing). Project details are sent monthly via email. To receive these emails, sign up here and choose "Software" as one of your interest categories. Bring your laptop, power cord, dongle and mouse. Advance registration is required so that we can prepare a handout for you.